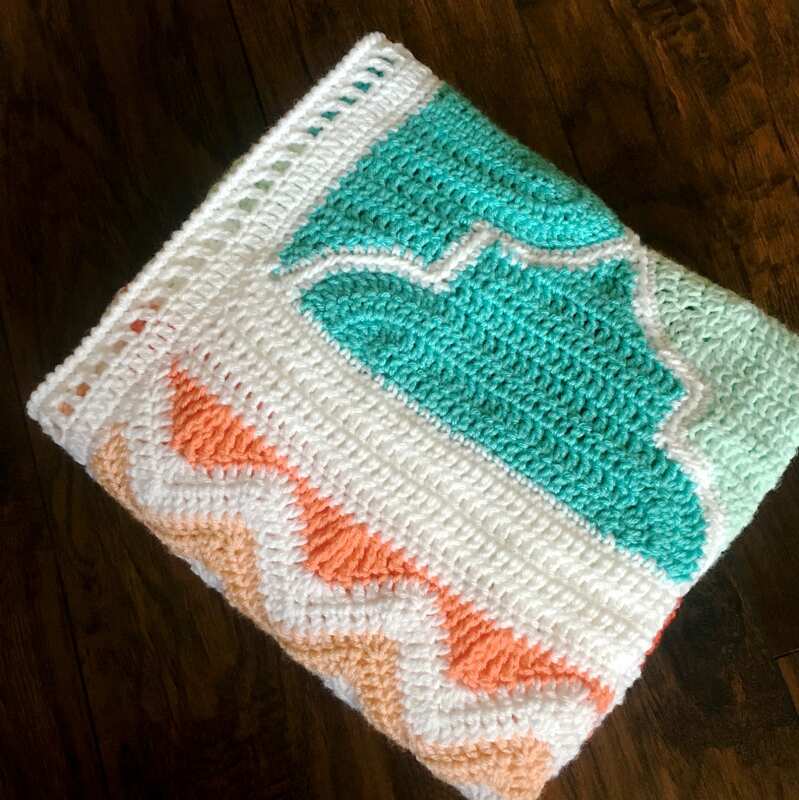 Great for a crochet baby blanket! 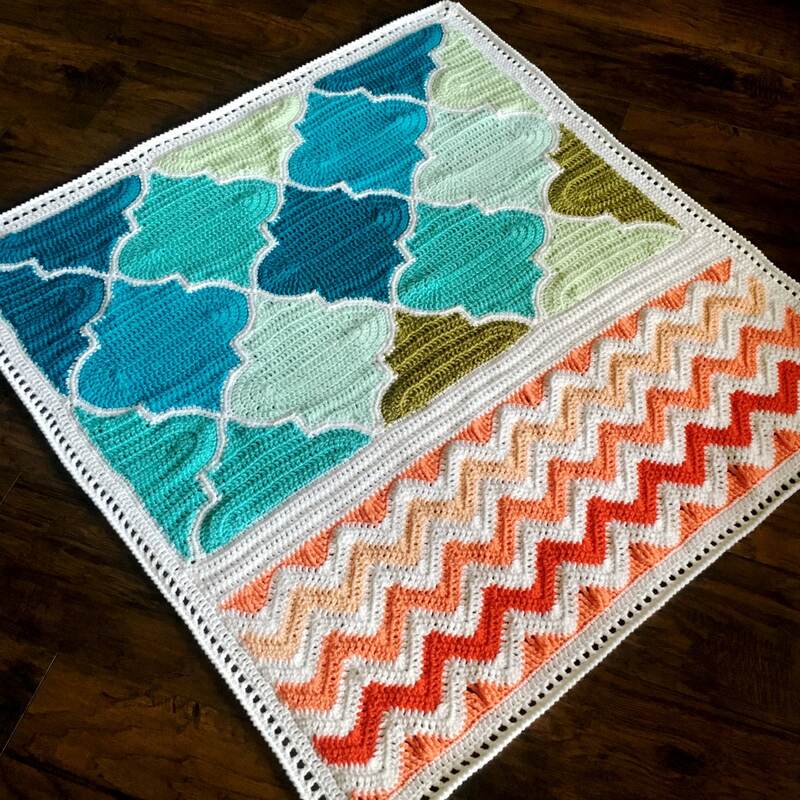 Trellis and Chevron pattern includes motif, joining, chevron, and border instructions. 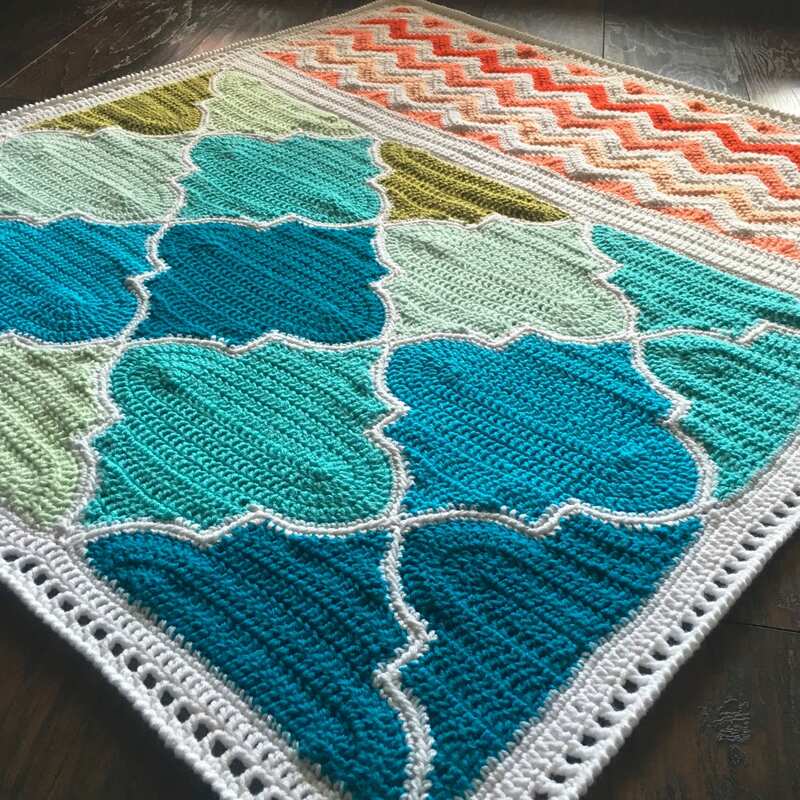 Gorgeous blanket - This listing is for the pattern! 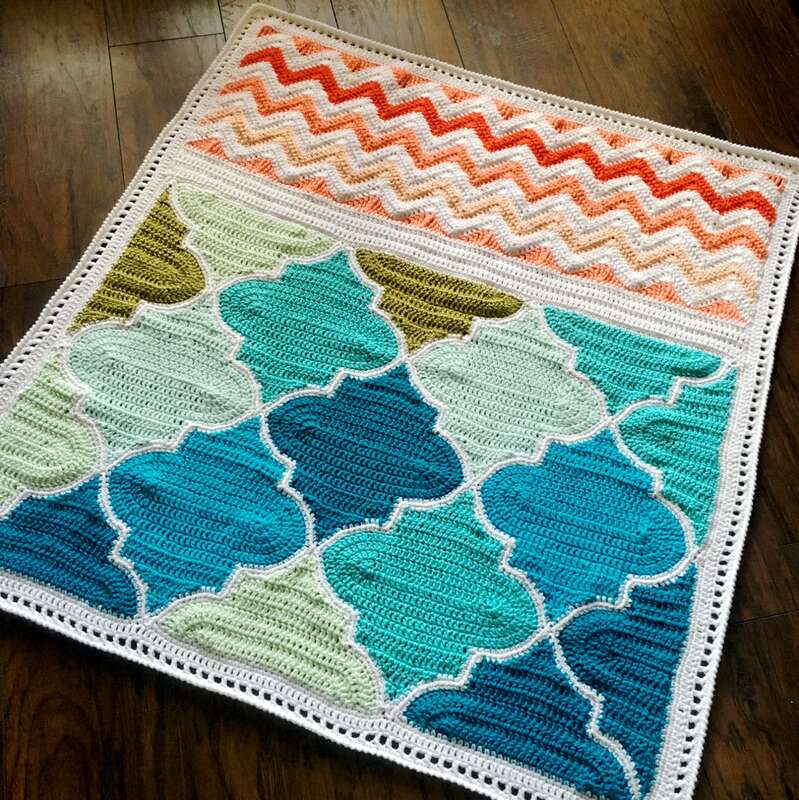 Also available on Craftsy and Ravelry.com Trellis and Chevron. 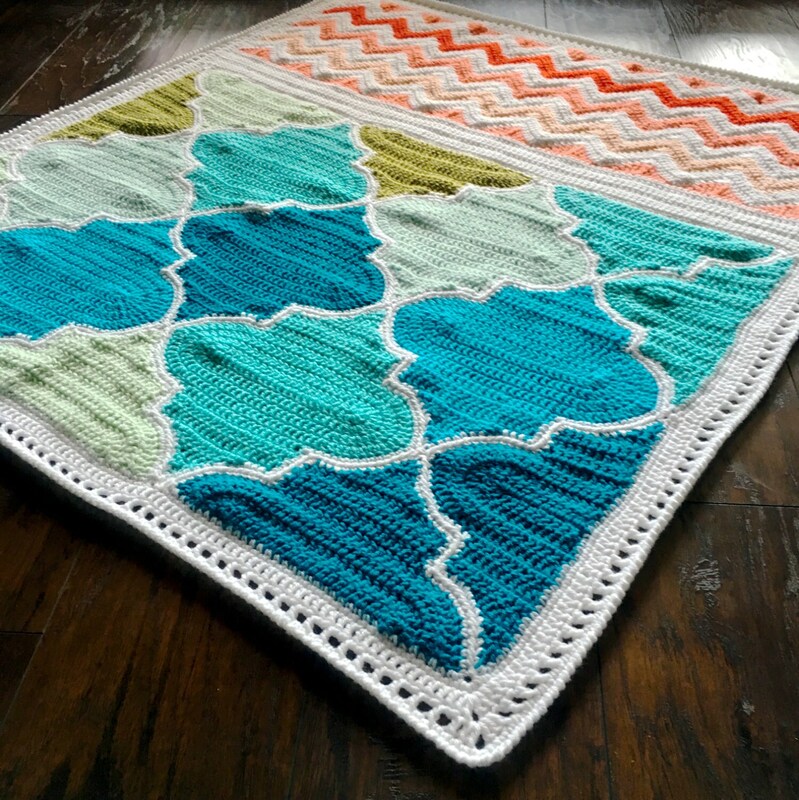 Use this pattern to create the blanket to your liking. 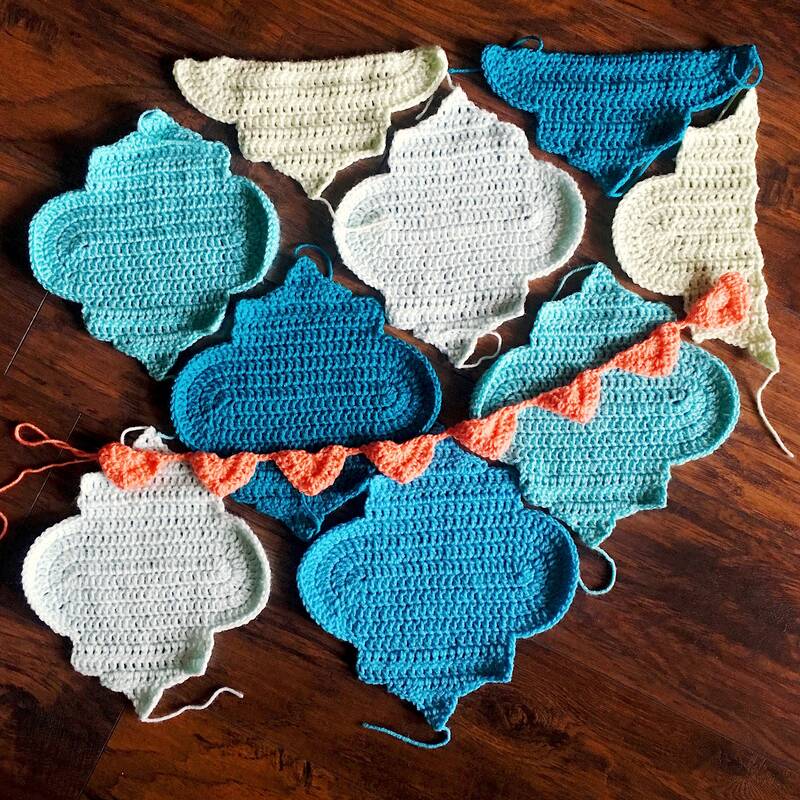 It features easy Trellis motifs, that look like floor tiles. 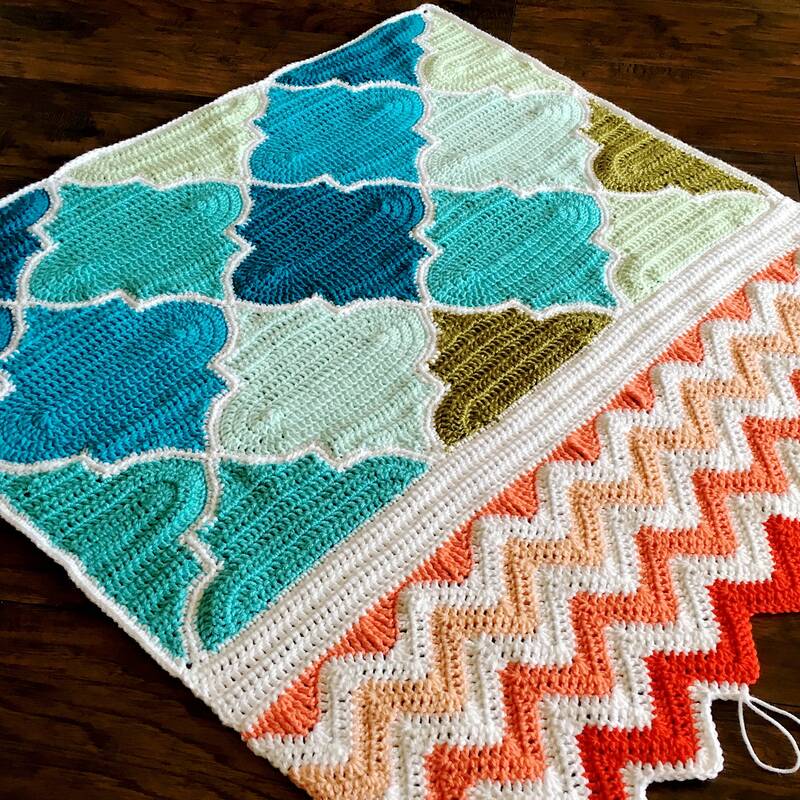 The shapes are then joined and they are paired with the fun Chevron pattern. 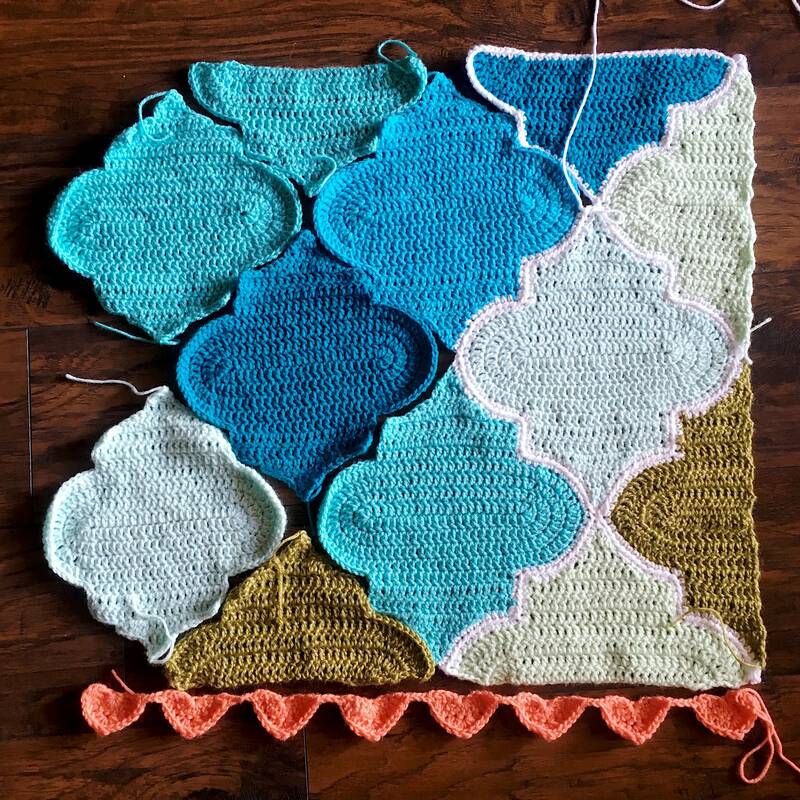 Then the blanket is finished with a stately border. 4) 24-hr/day support - I am always available and happy to chat! I’m still piecing it together. 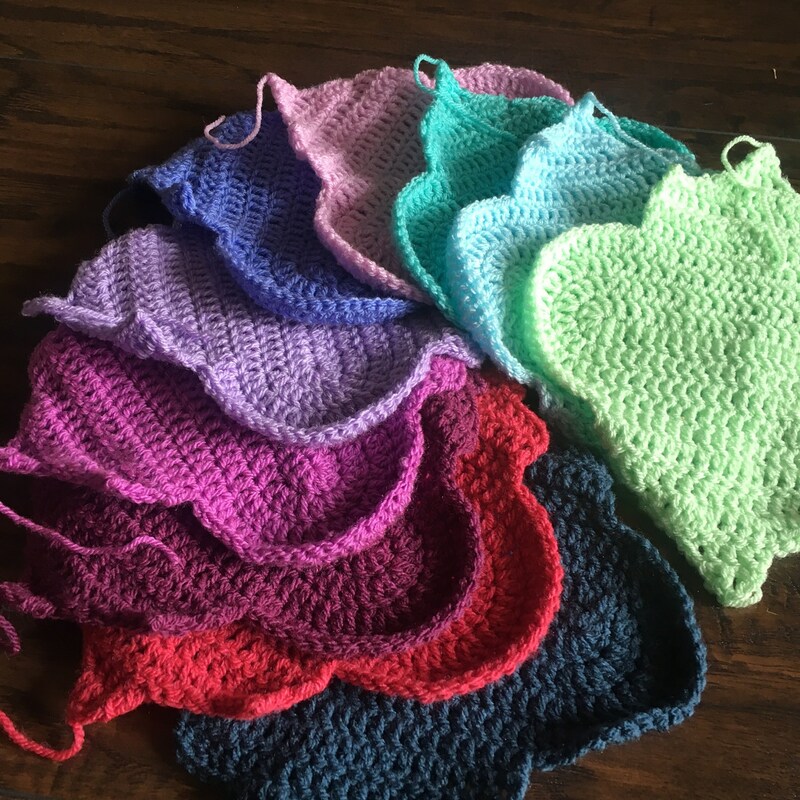 I had to learn several new stitches that weren’t easy for me. I had a bit of trouble understanding the directions included with this pattern After I read other directions he ones included made more sense. 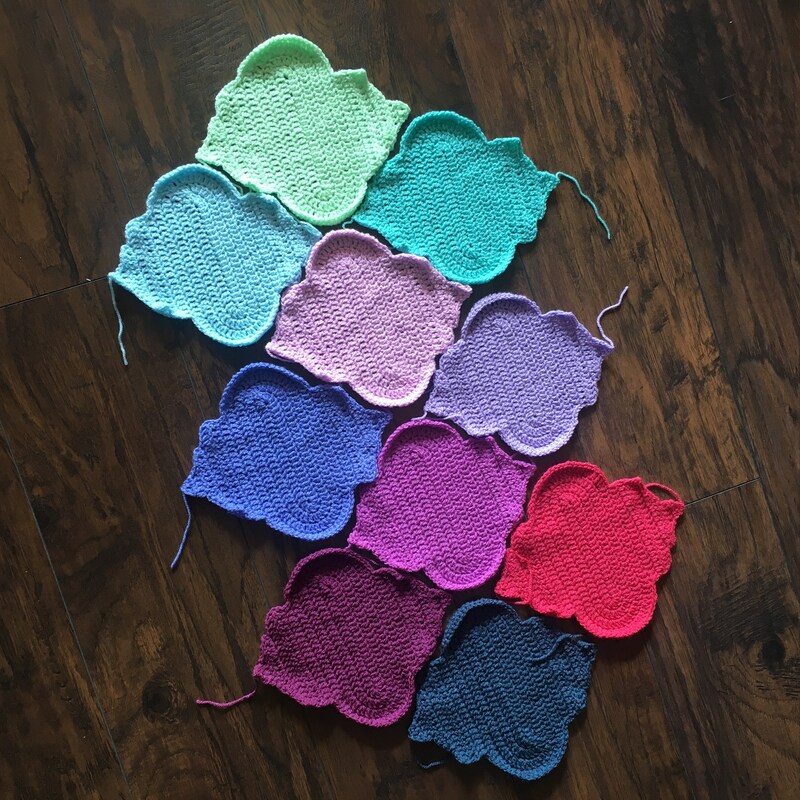 Great and easy pattern to follow! I love it!